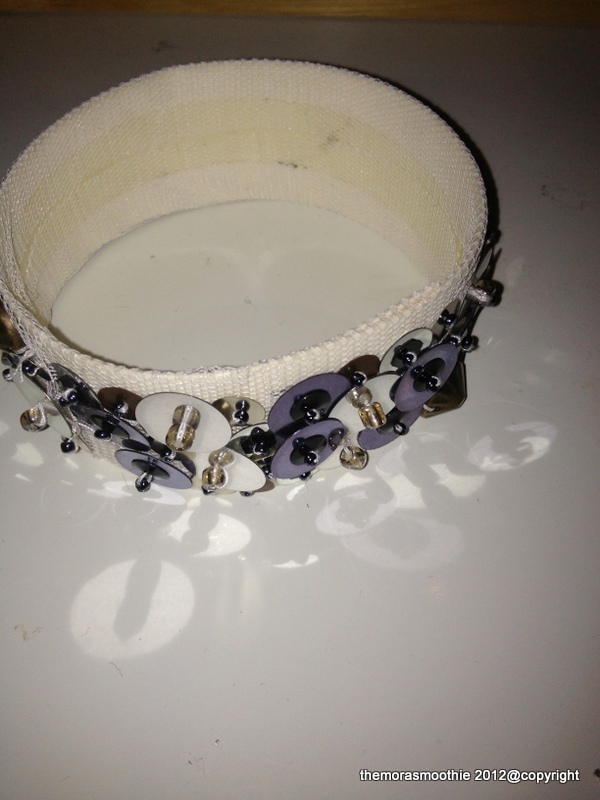 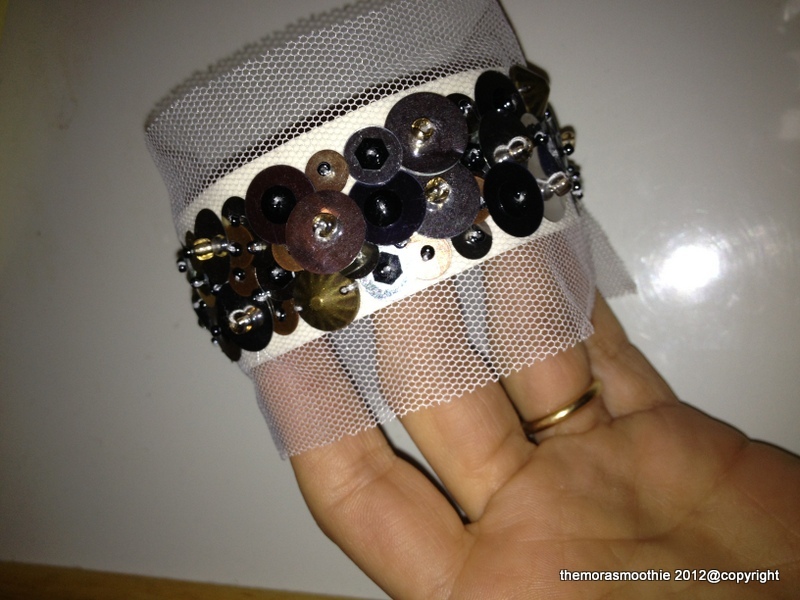 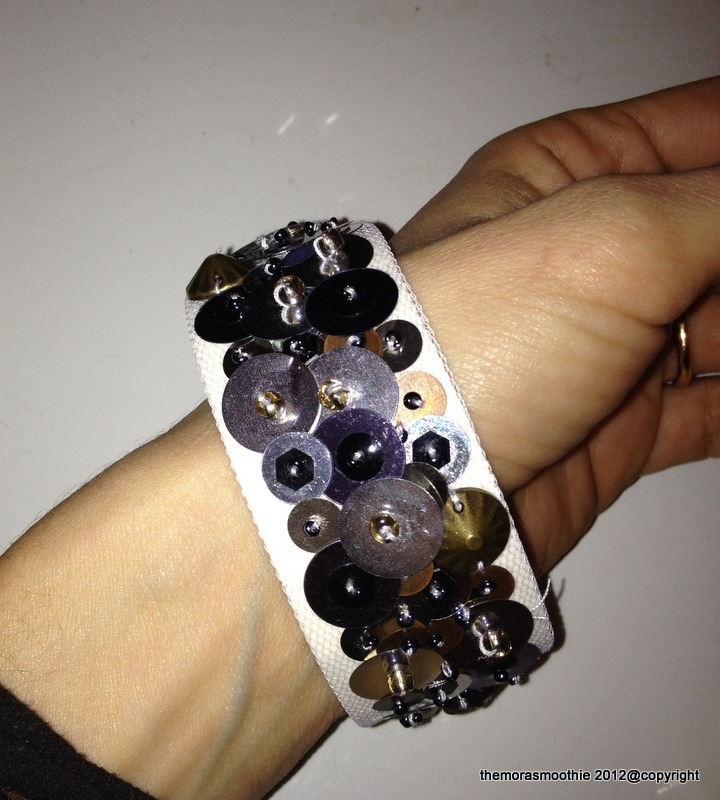 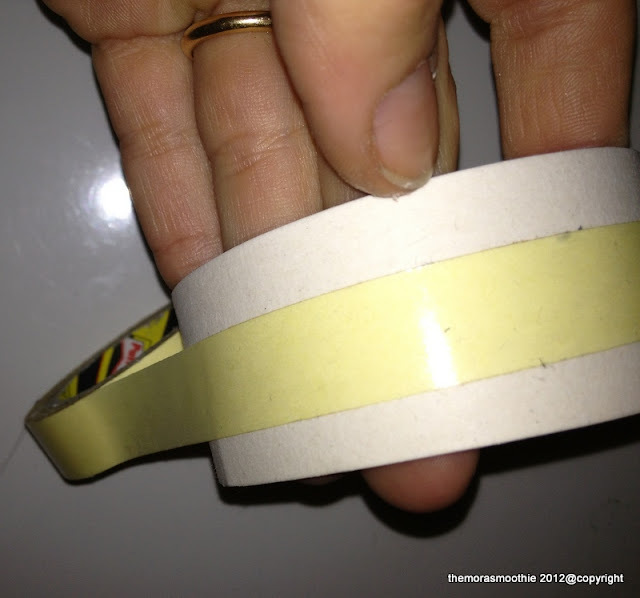 The Mora Smoothie fashion blog, DIY fashion by Paola Buonacara: New cool Diy bracelet! 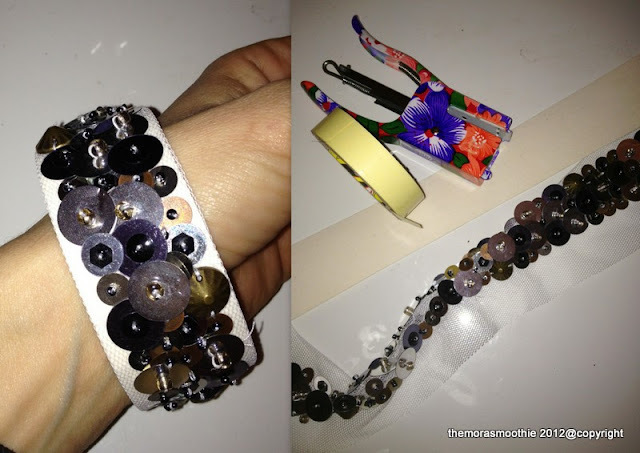 Hi, today we're starting with a new Diy, a super cool bracelet, but above fast, easy to make and with cool effect. 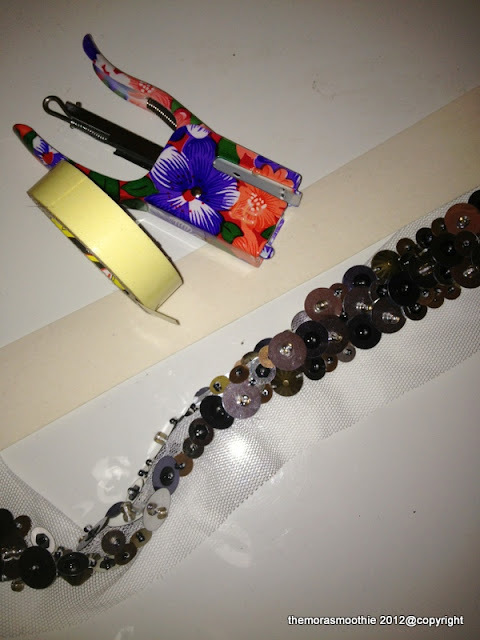 To make it I used a double sided tape adhesive, stapler, a trimming with sequins and as a base a piece of curing bags left over from other creations ... anything you throw everything can be recycled. 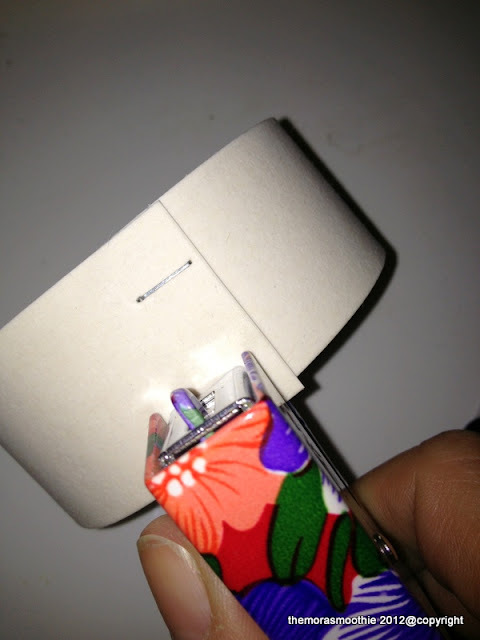 veramente semplice e velocissimo, è ciò che ci vuole quando non hai tempo, ma hai bisogno di rinnovare il look!